The city of De Pere, Wisconsin is seeking an agency for strategic Visioning and Branding Initiative. The 24,000 people who call De Pere, Wisconsin home, know that the community provides a high quality of life in the Greater Green Bay metropolitan area. The excellent schools, a dynamic downtown, successful business parks and safe neighborhoods served by ample parks and natural areas have resulted in considerable loyalty and community pride among residents. The residences, businesses and commercial areas are connected with a transportation and green space network that accommodates cars, bikes and pedestrians. The beautiful Fox River is the focal point of the City Center and the Claude Allouez Bridge unites the two sides of our dynamic downtown. Whether you are on the east side or west side, historic buildings thoughtfully blend with new redevelopment to provide a mix of housing, employment, shopping, dining and entertainment. De Pere lacks a unified vision and a strong brand. Recognizing the economic development value of a visioning/branding initiative, the De Pere Council allocated funds for a visioning/branding project in early 2016. The City does not have a current vision or mission, or formal brand standards. Review and research of City demographics, documents in order to provide a 360 degree view. Extensive, engaging and fun public outreach/facilitation that collects input and insight. Strengths, Opportunities, Weaknesses, Threats (SWOT) Analysis. The Development of a Vision and Mission based on the assessment and analysis. Identify and develop city specific short term and long term goals and priorities. Development of an authentic, compelling and sustainable brand platform, including key words, messages and phrases. Visual identity components like logo, fonts, color palette, brand identity guidelines and standards (slogan/tag line if appropriate). Implementation strategy (both internal and external launch). Realistic performance measures in order to assess brand progress. Participation in various stakeholder and public meetings throughout process. 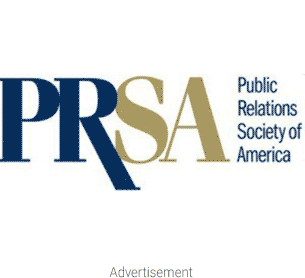 Strong PR firms to build brands include Ketchum PR and Burson Marsteller.